Due to the complex nature of the procurement process in the 1930s, no discussion of naval shipbuilding during this era would be complete without a description of this elaborate procedure. The procurement of ships for the navy during this period involved an intricate series of legislative maneuvers orchestrated by the secretary of the navy and the chief of naval operations with assistance from the bureaus, the fleet commands, and a special advisory body known as the General Board. The administrative procedures devised to implement the design process within the navy generated a great deal of paperwork between the various commands involved as each tried to have its say in determining the number, type, and characteristics of the ships that were scheduled for procurement. Fortunately, much of this documentation has survived in the records of the Navy Department now preserved in the National Archives, Washington, D.C. These files provide a wealth of information concerning specific building programs and the methodology used to establish the design criteria formulated for each ship type. Ultimately, all recommendations regarding the procurement of new construction had to be approved by the secretary of the navy--a cabinet post held by a civilian appointed by the president of the United States, to whom he was accountable. As chief executive of the Navy Department, the secretary was responsible for administering all aspects of the navy, including the acquisition of ships and weapons. Although the president set naval policy, Congress funds the navy and any new construction or modernization. only Congress could authorize an increase in the size of the navy or appropriate the money to build new ships, its approval was necessary before a program of new construction could be initiated. Obtaining congressional approval to increase the navy was a highly political affair that usually involved a great deal of negotiation and discussion between the secretary of the navy, the CNO, and those members of Congress responsible for initiating the legislation required to authorize and fund new construction. All authorization bills had to pass through the Senate and House Naval Affairs Committees before they could be presented to Congress for legislative consideration. The chairmen of these committees, therefore, exerted considerable influence on the navy and were closely courted by those officers within the Navy Department responsible for obtaining the funds necessary to operate the fleet or build new ships. Guiding the secretary of the navy on matters of ship construction was the General Board, an advisory body of senior flag officers established by General Order No. 544 on 13 March 1900 to "insure [the] efficient preparation of the fleet in case of war. "1 One of its main functions during the interwar period was to formulate the design characteristics for all the ships built for the navy. Through a process of hearings, discussions, and exchanges of correspondence with the bureaus and the various fleet commands, the General Board compiled a set of specifications (the characteristics), which defined the size, speed, armament, habitability, survivability, and endurance needed in the different types of warships that were to be added to the navy in any program of new construction. These were submitted to the secretary of the navy for his approval, thereby formulating the military characteristics that would govern the design of new vessels the navy proposed to add to the fleet. Once approved, these were sent to the three technical bureaus--Construction and Repair (BuC&R), Steam Engineering (BuEng), and Ordnance (BuOrd)--which shared responsibility for designing all naval vessels. the Bureau of Engineering, would prepare contract plans and specifications including the hull lines, general arrangement, and machinery layouts. These would form the basis for any contracts that might be let for construction, provided the navy received authorization to build such ships. The United States Fleet during this period was organized around two main fighting units: Battle Force and Scouting Force. Most combatants in the fleet were assigned to one or the other of these forces, although a small number were also assigned to the meager Asiatic Fleet stationed in the Far East. "Type" commanders subordinate to the "force commander" were established within each command: all battleships fell under the auspices of the Commander Battleships, Battle Force; cruisers under the Commander Cruisers, Scouting Force; aircraft under the Commander Aircraft, Scouting Force; and so on. In addition to directing the operations of ships (or aircraft) assigned directly within their command, type commanders were also administratively accountable for their particular ship types, including tenders (e.g., seaplane tenders, destroyer tenders) serving throughout the fleet. As administrative commanders, they were responsible for maintaining the material readiness of their forces and were accountable for developing tactics and doctrine to be employed. The type commanders were frequently queried for their recommendations and experience concerning the ships, weapons, and equipment utilized by their forces. Their responses played an important role in determining the characteristics of new ships and improving the material condition of those ships already in commission. Unfortunately, Vinson's concerns fell upon deaf ears as the Hoover administration opposed any plan for rebuilding the fleet. This situation changed after Franklin D. Roosevelt's inauguration in 1933. Roosevelt, who had served as assistant secretary of the navy during the First World War, was an enthusiastic supporter of the navy. 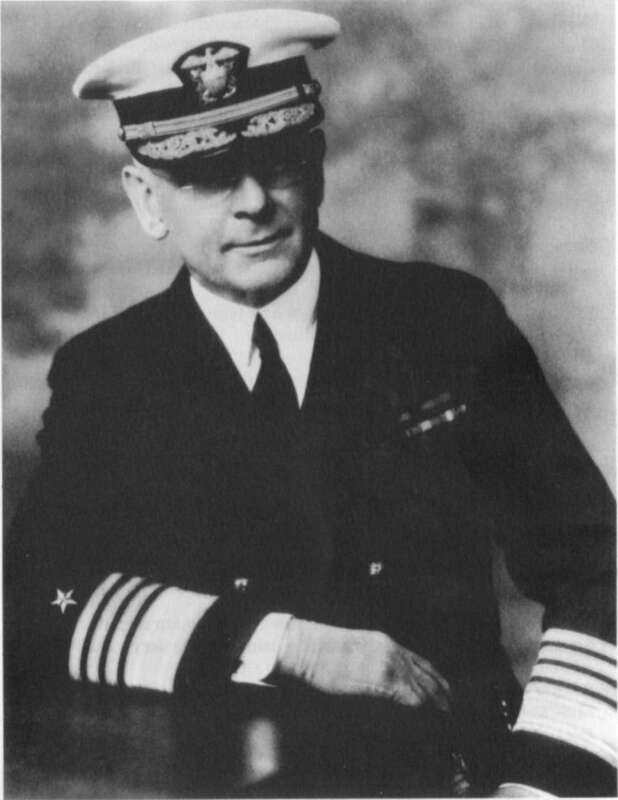 After the new administration had taken office, Adm. William V. Pratt, chief of naval operations, prepared a lengthy memorandum for Roosevelt's new secretary of the navy, Claude Swanson, entitled "The Navy's Needs. "6 In his memorandum, Pratt proposed an eight-year building program, which would fulfill three aims: build the navy to its authorized treaty limit in all categories of vessels, obtain airplanes for these vessels, and build certain non-treaty auxiliaries that were needed by the fleet.7 Included in Pratt's plan was a uniform schedule for laying down vessels, which would prevent a large number of ships from becoming obsolete at the same time. Construction of the first ships would begin in fiscal year 1934, with thirty-two ships planned for the first year, twenty-five the year after, and nineteen to twenty-two ships for each of the next four years. Construction of the last eight ships was to begin in fiscal year 1940 with all vessels scheduled for completion by the year 1942. The plan represented the most ambitious building program proposed for the navy since 1916.
naval construction in any program enacted as a cure to the economic crisis gripping the nation.9 According to one source, Swanson instructed Emory Land to accompany Vinson to a meeting with the chief clerk of this committee.10 The three men then drafted a clause to insert in any unemployment relief bill that might be presented to Congress. The wording was such that it would permit the construction of ships within treaty limits "in relief of unemployment. "11 Land was also instrumental in amending the Economy Act so that the wording "ships and aircraft" was included as part of the definition of public works, thus establishing the legal definition of warships as "public works. "12 Vinson next wrote to Roosevelt recommending the inclusion of Pratt's first year program in the public works bill then being considered by the administration. for constructing warships as public works. On the next day, 16 June 1933, Congress passed the National Industrial Recovery Act (NIRA), which was immediately signed into law by President Roosevelt. Included in this bill was a large public works program, known as the Public Works Appropriation Bill (PWA), which gave President Roosevelt the power to begin construction of public works projects. Because of the navy's efforts, the wording of this bill had been specifically written to allow the president to undertake "the construction of naval vessels within the terms and/or the limits established by the London Naval Treaty of 1930 and of aircraft required therefor. "13 On the day before the NIRA was to be passed, Roosevelt signed Executive Order 6174 allocating $238 million for naval construction under the provisions of the PWA. The executive order was signed in advance so that when the NIRA became law, funding for the construction of thirty-two warships was automatically provided. By signing Executive Order 6174, Roosevelt initiated the first of several naval building programs started during the depression, structured to take advantage of the economic relief measures enacted by Congress to stimulate industry. concerning the fleet's aging auxiliaries' ability to fulfill their role in the new plans. A former director of war plans, Standley was fully cognizant of the Train and its importance to the successful implementation of ORANGE. Troubled by obsolescence within the Train, he immediately recognized the need to procure modern auxiliaries that would be capable of keeping up with Sellers's battle force. As a first step toward this end, it appears that Standley, via the office of the secretary of the navy, directed the General Board to review the military characteristics for the various types of auxiliaries in the navy.18 It is likely that the request was issued by Standley directly. He was in a rather unique position during this period since he was frequently called upon to act as secretary of the navy when Swanson was too ill to perform his normal duties. This led to a situation in which it was not uncommon for Standley to write his own orders or recommendations as secretary of the navy to the chief of naval operations or vice versa. 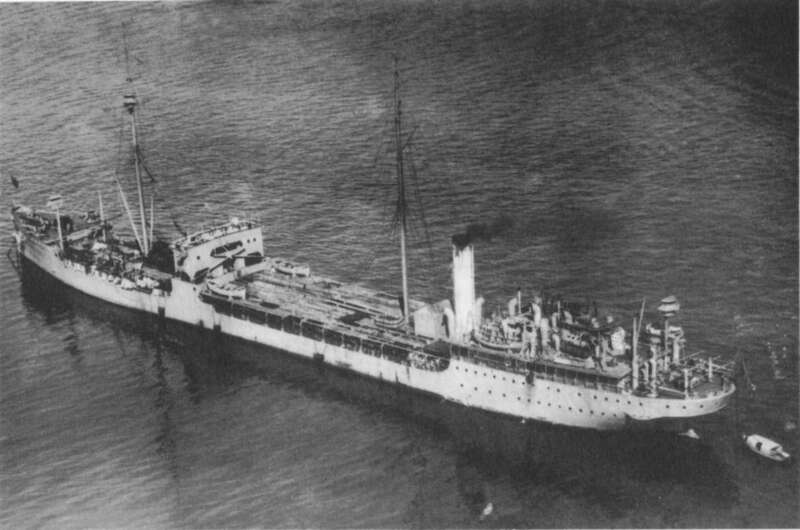 In any case, it is quite evident that Standley was deeply concerned about the deficiency in all types of auxiliaries and began to push any program that would provide these much-needed ships. as well as the procedures used within the Navy Department for establishing the design criteria of new warships. Displacement: Compatible with other characteristics prescribed. Draft: Maximum deep-load draft not to exceed 28 feet. Compartmentation: Standard in accordance with best modern naval practice. Capacity (cargo): 10,000 tons of cargo oil; lubricating oil (in containers) commensurate with fuel oil cargo capacity. Quarters and berthing spaces: Sufficient to accommodate at least 10 percent in excess of the regular complement of officers and men. Hull construction: Capable of carrying gasoline in all tanks. Speed: At least 15 knots sustained, loaded. Endurance at least 6,000 miles at maximum sustained speed, loaded, on fuel carried in bunkers. Engines: Of approved modern design and type best suited for mission of ship; special attention to reliability. Lubricating oil: Sufficient to meet demands at all speeds, within maximum cruising radius. Main battery: Four 5-inch or 6-inch guns. Antiaircraft battery: Machine guns, not less than eight (1.1" or .50 caliber). Ship Control: Best available, compatible with mission of ship. Fire Control: Simplest effective type. Radio: Sufficient to meet requirements of fleet communication. Signal: Of standard type sufficient to insure satisfactory visual communications by day or night. Deck stowage: Designed to provide deck space for crated aircraft (seaplanes) and troop and artillery barges. Hoisting apparatus: To include one boom of 20 tons capacity. Towing facilities: Fitted for towing at sea, including towing engine. The proper ventilation of oil compartments, the warming of oil for delivery purposes, and all other necessary features for safety and loading of oil and its quick delivery on both sides simultaneously, either at sea or in port, to be incorporated and to be not inferior to best commercial practice. Maneuverability: Designed to maneuver satisfactorily in formation. Searchlights: Two, for navigational purposes. PROVISIONS AND STORES: Standard practice. SOURCE: General Board Serial No. 1629, 21 December 1933, General Board File 420.5, RG 80, NA.